In a small Wisconsin town, McKinstry's Home Furnishings has made quality, value, and fairness its watchwords for over 155 years. Beaver Dam is a town of about 16,000 located 20 miles northeast of the state capital of Madison and just a little further northwest of Milwaukee. Here, this retailer has made a name for itself by building its image of integrity since 1858 when founder John McKinstry delivered cabinetry and caskets by horse and wagon. McKinstry's blends the best of "tradition" and "today". MCKINSTRY'S HOME FURNISHINGS, INC., is the oldest family-owned home furnishings center in Wisconsin and Beaver Dam's oldest business. McKinstry's blends its tradition of quality, value, and service with one of the finest displays of today's diverse furnishings. McKinstry's foundation is quality and family. The McKinstry tradition began with the first John McKinstry who came from Quebec, Canada, in 1855. He arrived in Beaver Dam to make hand-crafted furniture pieces and burial caskets for early settlers. In 1858, his J. McKinstry Company laid the foundation of quality that has endured for over 155 years. McKinstry's company soon outgrew the original location and moved to the present site at 131 Front Street. Then the company included a funeral home. 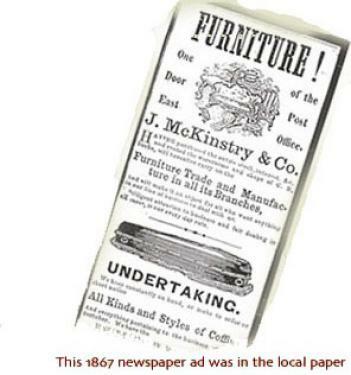 The business was renamed John McKinstry and Son Furniture when W.D. McKinstry became associated with it at the age of 16. W.D. 's son, Wm. Randall, made his life-long commitment to the company in the early 1920's. In the 1960's, John B. McKinstry, John McKinstry's great grandson, and Ric H Fiegel joined the firm, now named MCKINSTRY'S HOME FURNISHINGS. Sandy Dray, now head interior designer, joined the firm in 1985. Sandy, along with Chris Sell of Trillium Interiors, lead McKinstry's Decorating Department. Linda Genett, office manager, round out the McKinstry's Home Furnishings team along with Gary McFarland, Steve Payne, Austin Fiegel and Haley Fiegel taking care of set up, delivery and other retail responsibilities. The store itself has been updated and renovated (always with care to preserve its historical nature), and President and Store Manager Ric Fiegel says, "We work hard to preserve the historical significance of our buildings. Our efforts are rewarded when we give guided tours to inquisitive children of our local grade schools." The furniture industry and area residents recognize McKinstry's commitment to quality, service and value. The most respected manufacturers' seek out MCKINSTRY'S HOME FURNISHINGS to represent them. At McKinstry's you will find La-Z-Boy sofas, recliners and chairs, Howard Miller clocks, Capel area rugs, and other "best quality for best value" products. McKinstry's also features one-of-a-kind unique pieces in it's product mix. McKinstry's has the freedom to select from a variety of manufactures and price points to assure an outstanding selection of home furnishings and accessories. That's because McKinstry's is an independent home furnishings center with volume buying power. Since the beginning in 1858, McKinstry's customers continue to come from Beaver Dam and from all over the state. When you visit MCKINSTRY'S HOME FURNISHINGS, you will experience the quality, value and service that has been given to Beaver Dam, the surrounding area, and Wisconsin for five generations. You can depend on that tradition for the best service, now and into the future. "Customers keep coming back to McKinstry's because we have quality furniture and we stand behind it", Fiegel says. 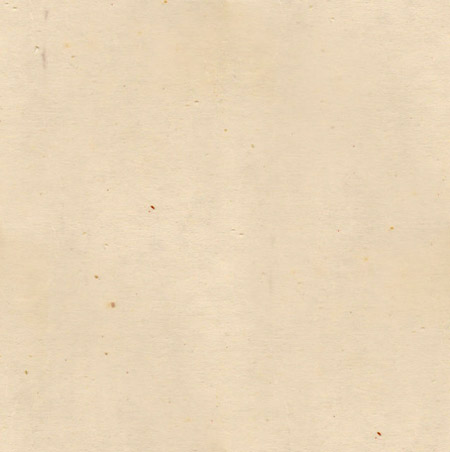 "Integrity and fairness are important to us." McKinstry's believes in "best quality for best value".